MANUEL ANTONIO NORIEGA, et al. THIS CAUSE comes before the Court on the several motions of Defendants General Manuel Antonio Noriega and Lt. Col. Luis Del Cid to dismiss for lack of jurisdiction the indictment which charges them with various narcotics-related offenses. On February 14, 1988, a federal grand jury sitting in Miami, Florida returned a twelve-count indictment charging General Manuel Antonio Noriega with participating in an international conspiracy to import cocaine and materials used in producing cocaine into and out of the United States. Noriega is alleged to have exploited his official position as head of the intelligence branch of the Panamanian National Guard, and then as Commander-in-Chief of the Panamanian Defense Forces, to receive payoffs in return for assisting and protecting international drug traffickers [...] Defendant Del Cid, in addition to being an officer in the Panamanian Defense Forces, was General Noriega’s personal secretary. He is charged with acting as liaison, courier, and emissary for Noriega in his transactions with Cartel members and other drug traffickers. [...] Subsequent to the indictment, the Court granted General Noriega’s motion to allow special appearance of counsel, despite the fact that Noriega was a fugitive and not before the Court at that time. Noriega’s counsel then moved to dismiss the indictment on the ground that United States laws could not be applied to a foreign leader whose alleged illegal activities all occurred outside the territorial bounds of the United States. Counsel further argued that Noriega was immune from prosecution as a head of state and diplomat, and that his alleged narcotics offenses constituted acts of state not properly reviewable by this Court. Upon hearing arguments of counsel, and after due consideration of the memoranda filed, the Court denied Defendant’s motion, for reasons fully set forth below. At that time, the Court noted that this case was fraught with political overtones, but that it was nonetheless unlikely that General Noriega would ever be brought to the United States to answer the charges against him. [...] In the interval between the time the indictment was issued and Defendants were arrested, relations between the United States and General Noriega deteriorated considerably. Shortly after charges against Noriega were brought, the General delivered a widely publicized speech in which he brought a machete crashing down on a podium while denouncing the United States. On December 15, 1989, Noriega declared that a “state of war” existed between Panama and the United States. Tensions between the two countries further increased the next day, when U.S. military forces in Panama were put on alert after Panamanian troops shot and killed an American soldier, wounded another, and beat a Navy couple. Three days later, on December 20, 1989, President Bush ordered U.S. troops into combat in Panama City on a mission whose stated goals were to safeguard American lives, restore democracy, preserve the Panama Canal treaties, and seize General Noriega to face federal drug charges in the United States. Before U.S. troops were engaged, American officials arranged a ceremony in which Guillermo Endara was sworn in as president and recognized by the United States as the legitimate head of the government of Panama. Endara was reported to have won the Panamanian presidential election held several months earlier, the results of which were nullified and disregarded by General Noriega. Not long after the invasion commenced, Defendant Del Cid, the commander of about two thousand Panamanian troops located in the Chiriqui Province, surrendered to American forces. He was then transferred into the custody of agents from the United States Drug Enforcement Agency, who thereupon arrested Del Cid for the offenses for which he is under indictment in this Court. The apprehension of General Noriega was not quite so easy. He successfully eluded American forces for several days, prompting the United States government to offer a one million dollar bounty for his capture. Eventually, the General took sanctuary in the Papal Nunciature in Panama City, where he apparently hoped to be granted political asylum. Noriega’s presence in the Papal Nunciature touched off a diplomatic impasse [...] After an eleven-day standoff, Noriega finally surrendered to American forces, apparently under pressure from the papal nuncio and influenced by a threatening crowd of about 15,000 angry Panamanian citizens who had gathered outside the residence. On January 3, 1990, two weeks after the invasion began, Noriega walked out of the Papal Nunciature and surrendered himself to U.S. military officials waiting outside. He was flown by helicopter to Howard Air Force Base, where he was ushered into a plane bound for Florida and formally arrested by agents of the Drug Enforcement Agency. [...] As is evident from the unusual factual background underlying this case, the Court is presented with several issues of first impression. This is the first time that a leader or de facto leader of a sovereign nation has been forcibly brought to the United States to face criminal charges. The fact that General Noriega’s apprehension occurred in the course of a military action only further underscores the complexity of the issues involved. In addition to Defendant Noriega’s motion to dismiss based on lack of jurisdiction over the offense and sovereign immunity, Defendants Noriega and Del Cid argue that they are prisoners of war pursuant to the Geneva Convention. This status, Defendants maintain, deprives the Court of jurisdiction to proceed with the case. Additionally, Noriega contends that the military action which brought about his arrest is “shocking to the conscience”, and that due process considerations require the Court to divest itself of jurisdiction over his person. Noriega also asserts that the invasion occurred in violation of international law. Finally, Noriega argues that, even in the absence of constitutional or treaty violations, the Court should dismiss the indictment pursuant to its supervisory powers so as to prevent the judicial system from being party to and tainted by the government’s alleged misconduct in arresting Noriega. [...] The Court examines each of these issues, in turn, below. The first issue confronting the Court is whether the United States may exercise jurisdiction over Noriega’s alleged criminal activities. [...] In sum, because Noriega’s conduct in Panama is alleged to have resulted in a direct effect within the United States, the Court concludes that extraterritorial jurisdiction is appropriate as a matter of international law. [...] Jurisdiction over Defendant’s extraterritorial conduct is therefore appropriate both as a matter of international law and statutory construction. Defendants Noriega and Del Cid contend that they are prisoners of war (“POW”) within the meaning of the Geneva Convention Relative to the Treatment of Prisoners of War, (Geneva III), a status, Defendants maintain, which divests this Court of jurisdiction to proceed with this case. For the purposes of the motion at bar, the Government does not maintain that Defendants are not prisoners of war, but rather argues that even were Defendants POWs, the Geneva Convention would not divest this Court of jurisdiction. Thus, the Court is not presented with the task of determining whether or not Defendants are POWs under Geneva III, but proceeds with the motion at bar as if Defendants were entitled to the full protection afforded by the Convention. Defendants’ arguments under the Geneva Convention are grounded in Articles 82, 84, 85, 87, and 99, and 22, each of which is examined, in turn, below. As is evident from its face, Article 82 pertains to disciplinary and penal procedures against POWs for offenses committed after becoming POWs, allowing for prosecutions against POWs only for acts which would be prosecutable against a member of the detaining forces. Thus, Article 82 is clearly inapplicable to the instant case because Noriega and Del Cid are being prosecuted not for offenses committed after their capture but for offenses committed well before they became prisoners of war. Article 84 “A prisoner of war shall be tried only by a military court, unless the existing laws of the Detaining Power expressly permit the civil courts to try a member of the armed forces of the Detaining Power in respect to the particular offence alleged to have been committed by the prisoner of war. Under 18 U.S.C. at 3231, federal district courts have concurrent jurisdiction with military courts over all violations of the laws of the United States committed by military personnel. The indictment charges Defendants with various violations of federal law, including narcotics trafficking [...] These are allegations of criminal misconduct for which any member of the United States Armed Forces could be prosecuted. Consequently, the prohibition embodied in Article 84, paragraph 1 does not divest this Court of jurisdiction. It has not been argued by Defense Counsel that the district court does not offer the essential guarantees of independence and impartiality “as generally recognized... .” Neither do Defendants contend that they will not be afforded the full measure of rights provided for in Article 105. Those rights include representation of counsel and prior notification of charges. [...] Indeed, Defendants will enjoy the benefit of all constitutional guarantees afforded any person accused of a federal crime. Rather than supporting Defendants’ overall position pressed under the Geneva Convention, this Article appears to recognize the right to prosecute asserted by the Government. The Article refers to “prisoners ... prosecuted under the laws of the Detaining Power” (i.e., the United States) and for acts “committed prior to capture.” Further, the benefits of the Convention shall be afforded the POW “even if convicted.” The indictment charges the Defendants with violations of the laws of the United States allegedly committed between December 1982 and March 1986 – well before the military action and apprehension by surrender. Article 82 reflects the principle of “equivalency” embodied in other Articles of the Convention. That principle provides that, in general, prisoners of war may be prosecuted for criminal violations only if a member of the armed forces of the detaining country would be subject to like prosecution for the same conduct. The specific application of the ‘equivalency principle’ in Article 87 prevents prisoners of war from being subject to penalties not imposed on the detaining power’s soldiers for the same acts. Assuming Defendants are convicted of one or more of the crimes with which they are charged, they face criminal sentences no greater nor less than would apply to an American soldier convicted of the same crime. The instant prosecution is therefore consistent with the provisions of Article 87. Article 99 proscribes the prosecution of prisoners of war under ex post facto laws, and prohibits coerced confessions. This Article further codifies other fundamental rights secured to any criminal defendant under the Constitution of the United States of America. All accused defendants, “prisoner of war” status notwithstanding, are guaranteed these basic protections. The Defense has not contended, and of course cannot contend, that the narcotics offenses with which Defendants are charged were permitted under U.S. law at the time the acts were allegedly committed. Neither has there been any assertion that Defendants were coerced into admitting guilt or that any effort was made in that direction. Defendants are represented by competent counsel and are being afforded all rights to which they are entitled under the law. Article 99 thus does not operate to divest the Court of jurisdiction. Defendants maintain that Article 22 deprives the Court of personal jurisdiction by requiring that they be returned to Panama and detained along with other Panamanian prisoners of the armed conflict. The Court perceives no such requirement in Article 22, which relates to the general conditions, and not the location, of internment. The provision upon which Defendants rely states that prisoners shall not be interned with persons of different nationality, language, and customs, and “shall not be separated from prisoners of war belonging to the armed forces with which they were serving at the time of their capture.” [...] According to Defendants’ interpretation, Article 22 would require that all prisoners of war from the same armed forces be interned together in a single prisoner of war facility. Yet this clearly cannot be Article 22’s intent, since internment under those conditions would likely violate its overall concern for healthy and comfortable conditions of internment. Indeed, Defendant Noriega undercuts his own argument by suggesting that he be detained in an agreeable third country, an action which would certainly separate him from members of Panama’s armed forces being detained in Panama. The more obvious interpretation of the provision that it prevents prisoners belonging to the armed forces of one nation from being forcibly interned with prisoners from the armed forces of another nation. Such is not the case here. Moreover, nothing in Article 22 or elsewhere prohibits the detaining power from temporarily transferring a prisoner to a facility other than an internment camp in connection with legal proceedings. Because the Convention contemplates that prisoners of war may be prosecuted in civilian courts, it necessarily permits them to be transferred to a location that is consistent with the orderly conduct of those proceedings. It is inconceivable that the Convention would permit criminal prosecutions of prisoners of war and yet require that they be confined to internment camps thousands of miles from the courthouse and, quite possibly, defense counsel. Finally, Noriega cites Article 118 of the Convention, which requires prisoners of war to be released and repatriated “without delay after the cessation of active hostilities.” [...] That provision is, however, limited by Article 119, which provides that prisoners of war “against whom criminal proceedings for an indictable offense are pending may be detained until the end of such proceedings, and, if necessary, until the completion of the punishment.” [...] Since criminal proceedings are pending against Noriega, Article 119 permits his detainment in the United States notwithstanding the cessation of hostilities. Defendants argue that Geneva III operates to divest this Court of jurisdiction over Defendants because they could not have been extradited from Panama to the United States for the crimes with which they are charged. The genesis of Defendants argument is not in the language of the Convention, but rather is found in the Red Cross Commentary on Geneva III (the “Commentary”) which, in discussing Article 85, states that: In general, acts not connected with the state of war may give rise to penal proceedings only if they are punishable under the laws of both the Detaining Power and the Power of origin. As a parallel, reference may be had to extradition agreements or to the customary rules concerning extradition. An act in respect of which there could be no extradition should not be punished by the Detaining Power. One may also examine whether prosecution would have been possible in the country of origin. If the answer is in the negative, the prisoner of war should not be tried by the Detaining Power. 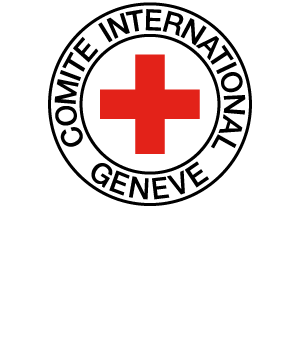 III International Committee of the Red Cross, Commentary on the Geneva Convention Relative to the Treatment of Prisoners of War, 419, J. Pictet (Ed. 1960). Moreover, the Commentary itself does not support Defendants’ position. The Commentary suggests that extradition treaties in existence may serve as a guiding “reference” in determining what acts should be punishable by the Detaining Party. Defendants entire argument is premised on the observation that the act of narcotics trafficking is not one of the thirteen crimes listed in the extradition treaty between Panama and the United States. Defendants overlook, however, the fact that the narcotics offenses with which Defendants are charged not only constitute the kinds of offenses which could be the subject of extradition under customary international law, but are specifically contemplated by subsequent treaties between the United States and Panama. [...] As is evident from its text and construed as a whole, the essential purpose of the Geneva Convention Relative to the Treatment of Prisoners of War is to protect prisoners of war from prosecution for conduct which is customary in armed conflict. The Geneva Convention was never intended, and should not be construed, to provide immunity against prosecution for common crimes committed against the detaining power before the outbreak of military hostilities. It therefore has no application to the prosecution of Defendants for alleged violations of this country’s narcotics laws. Indeed, the Court has not been presented with any provision of the Convention which suggests or directs that this proceeding is one which, in deference to the Convention, should be terminated. The humanitarian character of the Geneva Convention cannot be overemphasized, and weighs heavily against Defendants’ applications to the Court. The Third Geneva Convention was enacted for the express purpose of protecting prisoners of war from abuse after capture by a detaining power. The essential principle of tendance libérale, pervasive throughout the Convention, promotes lenient treatment of prisoners of war on the basis that, not being a national of the detaining power, they are not bound to it by any duty of allegiance. Hence, the “honorable motives” which may have prompted his offending act must be recognized. That such motives are consistent with the conduct and laws of war is implicit in the principle. Here, the Government seeks to prosecute Defendants for alleged narcotics trafficking and other drug-related offenses – activities which have no bearing on the conduct of battle or the defense of country. The fact that such alleged conduct is by nature wholly devoid of “honorable motives” renders tendance libérale inapposite to the case at bar. In addition to his due process claim, Noriega asserts that the invasion of Panama violated international treaties and principles of customary international law – specifically, Article 2(4) of the United Nations Charter, Article 20 of the Organization of American States Charter, Articles 23(b) and 25 of the Hague Convention, Article 3 of Geneva Convention I, and Article 6 of the Nuremberg Charter. Initially, it is important to note that individuals lack standing to assert violations of international treaties in the absence of a protest from the offended government. [...] [V]iolations of international law alone do not deprive a court of jurisdiction over a defendant in the absence of specific treaty language to that effect. [...] To defeat the Court’s personal jurisdiction, Noriega must therefore establish that the treaty in question is self-executing in the sense that it confers individual rights upon citizens of the signatory nations, and that it by its terms expresses “a self-imposed limitation on the jurisdiction of the United States and hence on its courts.” [...] No such rights are created in the sections of the U.N. Charter, O.A.S. Charter, and Hague Convention cited by Noriega. Rather, those provisions set forth broad general principles governing the conduct of nations toward each other and do not by their terms speak to individual or private rights. [...] It can perhaps be argued that reliance on the above body of law, under the unusual circumstances of this case, is a form of legal bootstrapping. Noriega, it can be asserted, is the government of Panama or at least its de facto head of state, and as such he is the appropriate person to protest alleged treaty violations; to permit removal of him and his associates from power and reject his complaint because a new and friendly government is installed, he can further urge, turns the doctrine of sovereign standing on its head. This argument is not without force, yet there are more persuasive answers in response. First, as stated earlier, the United States has consistently refused to recognize the Noriega regime as Panama’s legitimate government, a fact which considerably undermines Noriega’s position. Second, Noriega nullified the results of the Panamanian presidential election held shortly before the alleged treaty violations occurred. The suggestion that his removal from power somehow robs the true government of the opportunity to object under the applicable treaties is therefore weak indeed. Finally, there is no provision or suggestion in the treaties cited which would permit the Court to ignore the absence of complaint or demand from the present duly constituted government of Panama. The current government of the Republic of Panama led by Guillermo Endara is therefore the appropriate entity to object to treaty violations. In light of Noriega’s lack of standing to object, this Court therefore does not reach the question of whether these treaties were violated by the United States military action in Panama. Article 3 of Geneva Convention I, which provides for the humane treatment of civilians and other non-participants of war, applies to armed conflicts “not of an international character,” i.e., internal or civil wars of a purely domestic nature. [...] Accordingly, Article 3 does not apply to the United States’ military invasion of Panama. Finally, Defendant cites Article 6 of the Nuremberg Charter, which proscribes war crimes, crimes against peace, and crimes against humanity. The Nuremberg Charter sets forth the procedures by which the Nuremberg Tribunal, established by the Allied powers after the Second World War, conducted the trials and punishment of major war criminals of the European Axis. The Government maintains that the principles laid down at Nuremberg were developed solely for the prosecution of World War II war criminals, and have no application to the conduct of U.S. military forces in Panama. The Court cannot agree. As Justice Robert H. Jackson, the United States Chief of Counsel at Nuremberg, stated: “If certain acts in violation of treaties are crimes, they are crimes whether the United States does them or whether Germany does them, and we are not prepared to lay down a rule of criminal conduct against others which we would not be willing to have invoked against us.” Nonetheless, Defendant fails to establish how the Nuremberg Charter or its possible violation, assuming any, has any application to the instant prosecution. [...] Defendant has not cited any language in the Nuremberg Charter, nor in any of the above treaties, which limits the authority of the United States to arrest foreign nationals or to assume jurisdiction over their crimes. The reason is apparent; the Nuremberg Charter, as is the case with the other treaties, is addressed to the conduct of war and international aggression. It has no effect on the ability of sovereign states to enforce their laws, and thus has no application to the prosecution of Defendant for alleged narcotics violations. “The violation of international law, if any, may be redressed by other remedies, and does not depend upon the granting of what amounts to an effective immunity from criminal prosecution to safeguard individuals against police or armed forces misconduct.” [...] The Court therefore refrains from reaching the merits of Defendant’s claim under the Nuremberg Charter. Finally, it is worth noting that even if we assume the Court has any authority to declare the invasion of Panama shocking to the conscience, its use of supervisory powers in this context would have no application to the instant prosecution for the reasons stated. Since the Court would in effect be condemning a military invasion rather than a law enforcement effort, any ‘remedy’ would necessarily be directed at the consequences and effects of armed conflict rather than at the prosecution of Defendant Noriega for alleged narcotics violations. The Defendant’s assumption that judicial condemnation of the invasion must result in dismissal of drug charges pending against him is therefore misplaced. THIS CAUSE comes before the Court again with another unique question, this time incident to sentencing. Ordinarily, the Court can do no more than recommend the place and/or institutional level of confinement for convicted defendants. At sentencing, the question of General Noriega’s prisoner of war status as that status relates to confinement was raised, and the parties were afforded time to submit memoranda, which they did. [...] Defendant contends that the Geneva Convention Relative to the Treatment of Prisoners of War (“Geneva III”) [...] is applicable law that the Court must recognize. Defendant urges further that whether or not the U.S. government classifies General Noriega as a prisoner of war (“POW”), he is one, in fact, and must be afforded all the benefits of that status. Before the Court are several questions, but the ultimate one appears to be whether or not the Geneva Convention prohibits incarceration in a federal penitentiary for a prisoner of war convicted of common crimes against the United States. To resolve this issue the Court must consider three interrelated questions: 1) what authority, if any, does the Court have in this matter; 2) is Geneva III applicable to this case; 3) if so, which of its provisions apply to General Noriega’s confinement and what do they require? [...] [T]he Court has concluded that it lacks the authority to order the Bureau of Prisons (“BOP”) to place General Noriega in any particular facility. However, as with all sentencing proceedings, it is clearly the right – and perhaps the duty – of this Court to make a recommendation that the BOP place Noriega in a facility or type of facility the Court finds most appropriate given the circumstances of the case. The Court takes this responsibility quite seriously, especially in the novel situation presented here where the defendant is both a convicted felon and a prisoner of war. This dual status implicates important and previously unaddressed questions of international law that the Court must explore if it hopes to make a fair and reasoned recommendation on the type of facility in which the General should serve his sentence. Before examining in detail the various provisions of Geneva III, the Court must address whether the treaty has any application to the case at bar. Geneva III is an international treaty designed to protect prisoners of war from inhumane treatment at the hands of their captors. Regardless of whether it is legally enforceable under the present circumstances, the treaty is undoubtedly a valid international agreement and “the law of the land” in the United States. As such, Geneva III applies to any POW captured and detained by the United States, and the U.S. government has – at minimum – an international obligation to uphold the treaty. In addition, this Court believes Geneva III is self-executing and provides General Noriega with a right of action in a U.S. court for violation of its provisions. The government has thus far obviated the need for a formal determination of General Noriega’s status. On a number of occasions as the case developed, counsel for the government advised that General Noriega was being and would continue to be afforded all of the benefits of the Geneva Convention. At no time was it agreed that he was, in fact, a prisoner of war. The government’s position provides no assurances that the government will not at some point in the future decide that Noriega is not a POW, and therefore not entitled to the protections of Geneva III. This would seem to be just the type of situation Geneva III was designed to protect against. Because of the issues presented in connection with the General’s further confinement and treatment, it seems appropriate – even necessary – to address the issue of Defendant’s status. Articles 2, 4, and 5 of Geneva III establish the standard for determining who is a POW. Must this determination await some kind of formal complaint by Defendant or a lawsuit presented on his behalf? In view of the issues presently raised by Defendant, the Court thinks not. The present Convention shall apply to all cases of declared war or of any other armed conflict which may arise between two or more of the High Contracting Parties, even if the state of war is not recognized by one of them. The Convention applies to an incredibly broad spectrum of events. The government has characterized the deployment of U.S. Armed Forces to Panama on December 20, 1989 as the “hostilities” in Panama. Letter from the State Dep’t to the Attorney General of the United States, Jan. 31, 1990 at 1. However the government wishes to label it, what occurred in late 1989-early 1990 was clearly an “armed conflict” within the meaning of Article 2. Armed troops intervened in a conflict between two parties to the treaty. While the text of Article 2 itself does not define “armed conflict,” the Red Cross Commentary to the Geneva Conventions of 1949 [footnote 6 reads: 3 International Committee of the Red Cross, Commentary on the Geneva Conventions, (J. Pictet, ed., 1960) (hereinafter “Commentary”). [...] For all of its efforts to downplay the persuasive value of the Commentary when invoked by Noriega, the government itself has cited to the Commentary when favorable to its position.] states that: Any difference arising between two states and leading to the intervention of members of the armed forces is an armed conflict within the meaning of Article 2 [...]. It makes no difference how long the conflict lasts, how much slaughter takes place, or how numerous are the participating forces; it suffices for the armed forces of one Power to have captured adversaries falling within the scope of Article 4. Commentary at 2 [...]. In addition, the government has professed a policy of liberally interpreting Article 2: The United States is a firm supporter of the four Geneva Conventions of 1949 [...]. As a nation, we have a strong desire to promote respect for the laws of armed conflict and to secure maximum legal protection for captured members of the U.S. Armed Forces. Consequently, the United States has a policy of applying the Geneva Conventions of 1949 whenever armed hostilities occur with regular foreign armed forces, even if arguments could be made that the threshold standards for the applicability of the Conventions contained in common Article 2 are not met. In this respect, we share the views of the International Committee of the Red Cross that Article 2 of the Conventions should be construed liberally. Letter from the State Dept. to the Attorney General of the United States, Jan. 31, 1990 at 1-2. The present Convention shall apply to the persons referred to in Article 4 from the time they fall into the power of the enemy and until their final release and repatriation. Should any doubt arise as to whether persons, having committed a belligerent act and having fallen into the hands of the enemy, belong to any of the categories enumerated in Article 4, such persons shall enjoy the protection of the present Convention until such time as their status has been determined by a competent tribunal. An important issue raised by the last two words of Article 5 is, of course, what is a “competent tribunal”? Counsel for the government has suggested that, while he does not know what a competent tribunal as called for in Article 5 is, perhaps the answer lies in Article 8, which states in relevant part that “the present Convention shall be applied with the cooperation and under the scrutiny of the Protecting Powers [footnote 7 reads: Protecting Powers are neutral third parties whose job it is to ensure that a POW’s rights under the Convention are respected by the Detaining Power, especially in the absence of appropriate action by the POW’s Power of Origin (his home state)] whose duty it is to safeguard the interests of the Parties to the conflict.” Nowhere in this language is there any indication that one of the rights or duties of the Protecting Powers is to make POW status determinations. Rather, it seems clear that their purpose is to facilitate and monitor appropriate treatment of POWs. During the Geneva III drafting process, the phrase “military tribunal” was considered in place of “competent tribunal.” The drafters rejected this suggestion, however, feeling that “to bring a person before a military tribunal might have more serious consequences than a decision to deprive him of the benefits afforded by the Convention.” Commentary at 77 (citing II-B Final Record of the Diplomatic Conference of Geneva of 1949, at 270). Clearly, there was concern on the part of the drafters that whatever entity was to make determinations about POW status would be fair, competent, and impartial. The Court acknowledges that conducting foreign policy is generally the province of the Executive branch. Whether or not the determination of an individual’s status as a prisoner of war is a political question is a sub-issue which probably calls for an equivocal answer. While the Court believes that the question of prisoner of war status properly presented can be decided by the Court, this conclusion, in the present setting does beg the question of whether the issue is “properly presented” here. Passing for the moment the facts that an appeal has been taken and that to this point, at least, no violation of Geneva III is evident, the Court feels and so determines it has the authority to decide the status issue presented. This is not to say that the Executive branch cannot determine this issue under other circumstances. The Court does suggest that where the Court is properly presented with the problem it is, under the law, a “competent tribunal” which can decide the issue. With that in mind, the Court finds that General Noriega is in fact a prisoner of war as defined by Geneva III, and as such must be afforded the protections established by the treaty, regardless of the type of facility in which the Bureau of Prisons chooses to incarcerate him. The Geneva Convention applies to this case because it has been incorporated into the domestic law of the United States. A treaty becomes the “supreme law of the land” upon ratification by the United States Senate. U.S. Const. art. VI, cl. 2. Geneva III was ratified by a unanimous Senate vote on July 6, 1955. [...] The government acknowledges that Geneva III is “the law of the land,” but questions whether that law is binding and enforceable in U.S. courts. If the BOP fails to treat Noriega according to the standard established for prisoners of war in Geneva III, what can he do to force the government to comply with the mandates of the treaty? There are potentially two enforcement avenues available to a POW who feels his rights under the Geneva Convention have been violated. The first is the right to complain about the conditions of confinement to the military authorities of the Detaining Power or to representatives of the Protecting Power or humanitarian organizations. This right is established in Article 78 of Geneva III, and cannot be renounced by the POW or revoked or unnecessarily limited by the Detaining Power. See Articles 5, 7, 78, 85. Prisoners of war shall have the right to make known to the military authorities in whose power they are, their requests regarding the conditions of captivity to which they are subjected. They shall also have the unrestricted right to apply to the representatives of the Protesting [sic] Powers either through their prisoners’ representative or, if they consider it necessary, direct, in order to draw their attention to any points on which they may have complaints to make regarding their conditions of captivity. These requests and complaints shall not be limited nor considered to be a part of the correspondence quota referred to in Article 71. They must be transmitted immediately. Even if they are recognized to be unfounded, they may not give rise to any punishment. Prisoners’ representatives may send periodic reports on the situation in the camps and the needs of the prisoners of war to the representatives of the Protecting Powers. In theory, by calling attention to violations of the Convention the prisoner of war will embarrass the government into rectifying any unacceptable conditions to which he is being subjected. However, the obvious weakness of this complaint procedure is that it has no real teeth. Incentive for the government to comply with the treaty stems from its eagerness to be looked upon favorably by others, and, it is hoped, from its desire simply to do what is proper under the circumstances. However, if we truly believe in the goals of the Convention, a more substantial and dependable method must also be available, if necessary, to protect the POW’s rights. Recourse to the courts of the Detaining Power seems an appropriate measure, where available. A second method of enforcing the Convention would be a legal action in federal court. The government has maintained that if General Noriega feels that the conditions in any facility in which BOP imprisons him do not meet the Geneva III requirements, he can file a habeas corpus action [...]. However, the government also argues that Geneva III is not self-executing, and thus does not provide an individual the right to bring an action in a U.S. court. Considered together, these two arguments lead to the conclusion that what the government is offering General Noriega is a hollow right. According to the government’s position, Noriega could file a [...] claim, but any attempt to base it on violations of the Geneva Convention would be rejected because the General would not have standing to invoke the treaty. Essentially, a self-executing treaty is one that becomes domestic law of the signatory nation without implementing legislation, and provides a private right of action to individuals alleging a breach of its provisions. [...] Thus, even though Geneva III is undoubtedly “the law of the land,” is not necessarily binding on domestic courts if the treaty requires implementing legislation or does not provide an individual right of action. The most difficult situations arise in relation to treaties like Geneva III which have no U.S. implementing legislation, leaving it for the courts to decide whether the treaty is the type that may function without it. In the case of Geneva III, however, it is inconsistent with both the language and spirit of the treaty and with our professed support of its purpose to find that the rights established therein cannot be enforced by the individual POW in a court of law. After all, the ultimate goal of Geneva III is to ensure humane treatment of POWs – not to create some amorphous, unenforceable code of honor among the signatory nations. “It must not be forgotten that the Conventions have been drawn up first and foremost to protect individuals, and not to serve State interests.” Commentary at 23. The Court can envision numerous situations in which the Article 78 right of protest may not adequately protect a POW who is not being afforded all of the applicable safeguards of Geneva III. If in fact the United States holds Geneva III in the high regard that it claims, it must ensure that its provisions are enforceable by the POW entitled to its protections. Were this Court in a position to decide the matter, it would almost certainly find that Geneva III is self-executing and that General Noriega could invoke its provisions in a federal court action challenging the conditions of his confinement. Even if Geneva III is not self-executing, though, the United States is still obligated to honor its international commitment. The Court’s final task is to determine which provisions of Geneva III are relevant to an individual who is both a prisoner of war and a convicted felon. While these characteristics are not mutually exclusive, the combination of the two in one person creates a novel and somewhat complicated situation with respect to the application of Geneva III. The essential dispute between Noriega and the government is whether to rely on Articles 21 and 22 or on Article 108 in determining where to place the General. The defense argues that Articles 21 and 22, which explicitly prohibit placing POWs in penitentiaries, apply to General Noriega. The government contends that Article 108 controls, and allows the BOP to incarcerate a POW serving a criminal sentence anywhere U.S. military personnel convicted of similar offenses could be confined, including penitentiaries. Articles 21 and 22 appear at the beginning of Chapter I – “General Observations” of Section II – “Internment of Prisoners of War.” This chapter of Geneva III deals with the internment of POWs who have not been convicted of crimes, and is thus inapplicable to General Noriega. Defendant’s reliance on these Articles is misplaced; if anything, they make clear that POWs convicted of crimes are subject to a different set of rules than other prisoners of war. Article 22’s general prohibition against internment of POWs in penitentiaries is limited by Article 21’s acknowledgement that all general requirements regarding the treatment of POWs are “subject to the provisions of the present Convention relative to penal and disciplinary sanctions.” This reference to Articles 82-108 shows that the Articles in Section II, Chapter I do not apply to POWs serving judicial sentences. Further support for this argument is the use of the term “internment” throughout Section II, Chapter I, as opposed to the terms “detention,” “confinement,” or “imprisonment” used in the penal sanctions Articles. The Commentary elaborates on this point: The concept of internment should not be confused with that of detention. Internment involves the obligation not to leave the town, village, or piece of land, whether or not fenced in, on which the camp installations are situated, but it does not necessarily mean that a prisoner of war may be confined to a cell or room. Such confinement may only be imposed in execution of penal or disciplinary sanctions, for which express provision is made in Section VI, Chapter III. Commentary at 178. Thus, Article 22 prohibits internment – but not imprisonment – of POWs in penitentiaries. For these reasons, it is the opinion of this Court that Articles 21 and 22 do not apply to General Noriega. The government has argued that the Geneva Convention “explicitly and unambiguously” authorizes the BOP to incarcerate Noriega in a penitentiary, so long as he is not treated more harshly than would be a member of the U.S. armed forces convicted of a similar offense. Pursuant to 18 U.S.C. at 3231, federal district courts have concurrent jurisdiction with military courts over all violations of the laws of the United States committed by military personnel. [...] U.S.C. at 814 and 32 CFR at 503.2(a) instruct the military authorities to deliver the alleged offender to the civil authorities for trial just like any other individual accused of a crime. Once that individual is convicted and sentenced by a civil court, he or she is also incarcerated in a civil facility, including a federal penitentiary, just like any other convicted criminal. Sentences announced on prisoners of war after a conviction has become duly enforceable, shall be served in the same establishments and under the same conditions as in the case of members of the armed forces of the Detaining Power. These conditions shall in all cases conform to the requirements of health and humanity. Pursuant, then, to paragraph one it appears that General Noriega could technically be incarcerated in a federal penitentiary without violating the Geneva Convention. However, this should not be the end of the inquiry. The real issue is whether federal penitentiaries in general or any particular federal penitentiary can afford a prisoner of war the various protections due him under the Geneva Convention. Article 108 requires that the conditions in any facility in which a POW serves his sentence “shall in all cases conform to the requirements of health and humanity.” Interpreting the language of these provisions is not always easy. The Commentary to Article 108 says reference should be made to Articles 25 and 29, which lay down minimum standards of accommodation for POWs. Commentary at 502. In addition, Article 108 dictates that the POW must be allowed to “receive and despatch [sic – British spelling] correspondence, to receive at least one relief parcel monthly, to take regular exercise in the open air, to have the medical care required by [his] state of health, and the spiritual assistance [he] may desire.” Many of these terms are vague. For example, what is “regular” exercise? Reasonable people may differ on what these provisions require. However, given the United States’ asserted commitment to protecting POWs and promoting respect for the laws of armed conflict through liberal interpretation of the Geneva Conventions, vague or ambiguous terms should always be construed in the light most favorable to the prisoner of war. In any case, prisoners of war sentenced to a penalty depriving them of their liberty shall retain the benefit of the provisions of Articles 78 and 126 of the present Convention. ... Penalties to which they may be subjected shall be in accordance with the provisions of Article 87, third paragraph. [...] Again, some of these terms are vague, but because of the U.S. commitment to construing the Geneva Conventions liberally, and because it is imperative that the United States set a good example in its treatment of POWs, ambiguous terms must be construed in the light most favorable to the POW. Article 126 creates an almost unrestricted grant of authority for representatives of the Protecting Power and international humanitarian organizations to supervise the treatment of POWs wherever and in whatever type of facility they may be held. The Commentary supports Noriega’s position that he continues to be entitled to the Convention’s general protections: The Convention affords important safeguards to prisoners of war confined following a judicial sentence. Some of these safeguards result from general provisions applicable to all the conditions relating to internment, such as Article 13 (humane treatment), Article 14 (respect for the person of prisoners [...]), Article 16 (equality of treatment). Other provisions refer expressly to the execution of penalties and specifically prohibit cruelty, any attack on a prisoner’s honour (Article 87), and discriminatory treatment (Article 88)... . Confinement does not involve any suppression of the principal safeguards afforded to prisoners of war by the present Convention, and the number of provisions rendered inapplicable by the fact of [...] confinement is therefore small... . In fact, these articles [78, 87, 126] are among the provisions which are not rendered inapplicable by confinement. Because of their greater importance, however, [...] special reference was made to them. Commentary at 501-03 (emphasis added). It thus appears that a convicted POW is entitled to the basic protections of Geneva III for as long as he remains in the custody of the Detaining Power. Throughout the Commentary to Article 108, reference is made to Articles other than the three specifically named in the text. Commentary at 500-08. The logical conclusion is that judicial confinement serves to abrogate only those protections fundamentally inconsistent with incarceration. This Court finds that, at a minimum, all of the Articles contained in Section I, General Provisions, should apply to General Noriega, as well as any provisions relating to health. By their own terms, Articles 82-88 (the General Provisions section of the Penal and Disciplinary Sanctions chapter) and 99-108 (Judicial Proceedings subsection) apply. In addition, the Court would once again note that the stated U.S. Policy is to err to the benefit of the POW. In order to set the proper example and avoid diminishing the trust and respect of other nations, the U.S. government must honor its policy by placing General Noriega in a facility that can provide the full panoply of protections to which he is entitled under the Convention. Considerable space has been taken to set forth conclusions which could have been stated in one or two pages. That is because of the potential importance of the question to so many and the precedentially uncharted course it spawned. The Defendant Noriega is plainly a prisoner of war under the Geneva Convention III. He is, and will be, entitled to the full range of rights under the treaty, which has been incorporated into U.S. law. Nonetheless, he can serve his sentence in a civilian prison to be designated by the Attorney General or the Bureau of Prisons (this is a pre-guidelines case) so long as he is afforded the full benefits of the Convention. Whether or not those rights can be fully provided in a maximum security penitentiary setting is open to serious question. For the time being, however, that question must be answered by those who will determine Defendant’s place and type of confinement. In this determination, those charged with that responsibility must keep in mind the importance to our own troops of faithful and, indeed, liberal adherence to the mandates of Geneva III. Regardless of how the government views the Defendant as a person, the implications of a failure to adhere to the Convention are too great to justify departures. In the turbulent course of international events – the violence, deceit, and tragedies which capture the news, the relatively obscure issues in this case may seem unimportant. They are not. The implications of a less-than-strict adherence to Geneva III are serious and must temper any consideration of the questions presented. Florida this 8th day of December, 1992. THIS CAUSE comes before the Court on the Defendant’s Petition for Writs of Habeas Corpus, Mandamus, and Prohibition, filed July 23, 2007. This Court heard argument from counsel on August 13, 2007. When this Court determined fifteen years ago that Defendant was a “prisoner of war” (POW), according to the Geneva Convention Relative to the Treatment of Prisoners of War, August 12, 1949, [...] [See Part B of this case, Place of Detention], it did so primarily in the context of Defendant’s concerns about the care he would receive while in custody. It would have been impossible to predict the full course of events which have brought the parties back before this Court, but some of those circumstances are far from surprising. For example, Defendant’s allegedly illegal activities were never understood by this Court to be limited to the United States, nor to Panama, and, thus, it was conceivable that an extradition request might be made at some future time. Indeed, the charges which form the basis of the extradition proceedings currently pending against Defendant, [...] relate to alleged money laundering activities which occurred in France from 1988-89, and it may be that other countries will be interested in bringing charges against the Defendant. Despite the context of the Court’s initial consideration of the POW claims, once the status of POW attaches, it protects the individual POW until “final release and repatriation.” Article 5, Convention. Defendant’s status as a POW, however, does not change the fact that Defendant presently is incarcerated according to a valid sentence imposed by this Court. The Court’s authority at this time, therefore, is properly directed toward the validity of the sentence being served, which may be challenged by reference to 28 U.S.C. § 2255,4 or the execution of that sentence, which may be challenged by reference to 28 U.S.C. § 2241. Defendant asserts that his POW status under the Convention shields him from extradition at this time, citing Article 118 of the Convention, which provides that POWs “shall be released and repatriated without delay after the cessation of active hostilities.” In response, the United States argues that extradition to France on the announced charges is consistent with the Convention because of Article 82, which subjects Defendant, as a POW, to the “laws, regulations and orders” of the United States. The United States also relies on Article 12 of the Convention, regarding the transfer of POWs, as supporting the principle that repatriation is not automatic, but rather that transfer is permitted under certain circumstances. Article 45 of the convention protecting civilians parallels Article 12 of the convention protecting POWs, and it is not unreasonable to include that Article 12 embodies the same principles – i.e., that transfer of either POWs or “protected persons” is permitted, but that it should only take place between parties to the Conventions to guarantee that the principles embraced in the Conventions will be respected. Clearly, the facts surrounding this particular Defendant’s status as a POW are far different from those expressly considered by the parties to the Convention in 1949. The Court previously noted the clear conclusion that Article 12 “limits the ability of the United States to effect such a transfer” by requiring that the receiving country be a party to the Convention and willing to apply the Convention. [See Part A of this case, Jurisdiction] No other restrictions are provided. Defendant has offered no evidence suggesting that France will fail to abide by the Convention in its treatment of Defendant. According to the United States, Defendant already has been convicted in France on criminal charges, and nothing in the Convention suggests that honoring a treaty between parties to the Convention concerning extradition for a criminal offense is prohibited. As consistently stated by the Eleventh Circuit, “extradition is a function of the Executive.” This Court has a constitutional mandate to follow treaties. The United States has elected to pursue the extradition of Defendant to France, rather than his repatriation to Panama, despite a pending claim from Panama for the return of Defendant. It is unclear whether Panama is actively seeking Defendant’s return, but in any event, any competing claims for Defendant’s extradition are matters for the Secretary of State to resolve. This Court never intended for the proclamation of Defendant as a POW to shield him from all future prosecutions for serious crimes he is alleged to have committed. That being said, even the most vile offender is entitled to the same protections as those owed to a law-abiding soldier once they have been declared a POW. It appears that the extradition proceedings should proceed uninterrupted. ORDERED AND ADJUDGED that the Defendant’s Petition is denied, without prejudice to renew as appropriate in relation to the extradition proceedings themselves. DONE AND ORDERED in chambers in Miami, Florida, this 24th day of August, 2007. ORDERED that the Defendant shall produce credible evidence to support the allegations made in his Petition, specifically evidence that demonstrates that France presently does not intend to abide by the Geneva Convention Relative to the Treatment of Prisoners of War, August 12, 1949, [...] in its treatment of the Defendant. Defendant shall produce this evidence no later than 9:00 a.m. on September 6, 2007, or provide affidavits attesting to the Defendant’s efforts to obtain such evidence in the event that Defendant is unable to meet that deadline. In addition, the United States is directed to respond to the Defendant’s pending Petition, including any evidence submitted by Defendant, no later than 12:00 p.m. on September 6, 2007. To the extent that the United States is unable to confirm current compliance with Article 12 of the Convention, this Court will require that the confidential communications between France and the United States, upon which the United States relies for its assertions that it “has satisfied itself of the willingness and ability of [France] to apply the Convention,” be produced. To preserve the confidential and diplomatic nature of such communications, this Court simply will review the communications privately, and will return them immediately to the Assistant United States Attorney – who may deliver them personally to the Court. The documents will not be made available to the public, nor to the Defendant, absent the agreement of the United States. DONE AND ORDERED in chambers in Miami, Florida, this 5th day of September, 2007. THIS CAUSE comes before the Court on the Defendant’s Petition for Writ of Habeas Corpus Pursuant to 28 U.S.C. § 2241, filed September 5, 2007. The United States has responded in opposition. On September 5, 2007, this Court partially granted Defendant’s Emergency Motion for Stay based upon allegations – which were proven to be untrue – that Defendant was to be released early from serving the sentence imposed by this Court. It now appears that Defendant filed his motion for stay, as well as his petition for habeas, in an attempt to have this Court reconsider its prior conclusion that the Geneva Convention Relative to the Treatment of Prisoners of War, August 12, 1949, [...] does not include a ban on extradition of prisoners of war (“POWs”). This Court appears to lack jurisdiction according to 28 U.S.C. § 2241 to decide Defendant’s claims regarding potential future circumstances involving his treatment in France. Defendant has not demonstrated any problems with the current conditions under which he is serving the sentence imposed by this Court. It is important to note that the United States did not ask the Republic of France to declare that defendant is a prisoner of war. Instead of running the risk that the Republic of France might interpret the Geneva Conventions differently than the United States, the United States sought and obtained from the Republic of France specific information regarding all of the rights that the defendant will be guaranteed by France upon his extradition. [The] United States has confirmed through its communications with France that France will afford the defendant the same benefits he has enjoyed during his confinement in the United States that were mandated by this Court’s Order of December 8, 1992. The Court’s reading of the assertions of the Assistant United States Attorney, supported by the Declaration of Clifton M. Johnson, the head of the Office of the Legal Adviser of the United States Department of State, indicates that Defendant retains all of his rights under the Convention. “France does indeed intend to afford [Defendant] all the same rights that he was afforded during his incarceration in the United States;” these specific rights are those “to which Noriega was entitled under this Court’s ruling and as specified in Geneva III.” (emphasis added). Regardless of the unique nature of this Defendant, his POW status attached at least as early as December 1992 and he retains that status “until [his] repatriation,” Convention, art. 5; to consider this Defendant as anything less than a POW would not constitute compliance with the Geneva Convention. This Court notes the United States’ assertions that the Convention is being followed, and anticipates full compliance with the Convention based upon those assertions. Defendant has suggested that this Court did not consider certain arguments raised in his earlier unsuccessful petition for habeas before this Court. Defendant asserts that Article 12 “was intended to apply to transfers between allied Powers during war” and argues that its only purpose is for such transfers. This Court disagrees, and already considered this argument fully, particularly in the context of the criminal charges pending against this Defendant. A POW’s responsibility for criminal charges, including those unrelated to the conflict, clearly is envisioned in Articles 85 and 119 of the Convention. Moreover, Defendant’s argument is not consistent with the statements in the Commentary, International Committee of the Red Cross, Commentary on the Geneva Conventions (J. Pictet, ed., 1960), upon which he relies. Indeed, the Commentary reveals that Article 12 was “largely based” on the experience of the United States and France in accommodating United States-captured German POWs in France where there was a shortage of food. The United States responded to concerns of the International Committee of the Red Cross by providing food and clothing to France for distribution to its own POW camps such that the German POWs would have their needs met. Commentary, art. 12. There is no statement in the Commentary that suggests that the United States’ obligation at that time would have been any different if the German POWs were interned in a POW camp in a nation which was not a co-belligerent of the United States. The reference at the beginning of the Commentary to Article 12 to “the special case of the transfer of prisoners from one belligerent Power to another” does not suggest that Article 12 itself only applies to such transfers; nor does it suggest that Article 12 prohibits otherwise valid extraditions. In summary, nothing from the Defendant compels this Court to change its prior conclusion that the Convention does not prohibit legitimate extraditions conducted in compliance with Article 12. As there is no basis for continuing the stay imposed by this Court, that stay is lifted as of 5:00 p.m. today, with the understanding that Defendant will complete the term of his previously imposed sentence and not be released until September 9, 2007. DONE AND ORDERED in chambers in Miami, Florida, this 7th day of September, 2007. [N.B. : On April, 8th, 2009, the US Court of Appeals for the Eleventh Circuit found that General Noriega’s claim was precluded by § 5 of the Military Commission Act of 2006 [See United States, Military Commissions], which the Government argued “codifie[d] the principle that the Geneva Conventions [a]re not judicially enforceable by private parties” (available on: http://media.ca11.uscourts.gov/opinions/pub/files/200811021.pdf). Are the provisions of Convention III on the conditions of confinement self-executing? If not, what methods are there of enforcing compliance with the Conventions if they are violated, e.g., with regard to the conditions of captivity? Do such methods suggest anything about the strength or weakness of IHL? Does IHL state whether it is lawful to wage a war to capture a drug trafficker who could not be extradited? Does IHL apply to such a war? Is it the purpose of Convention III to protect drug traffickers? Why was it important for IHL and for the US that the Court qualified Noriega as a POW? Do you agree with the reasoning of the Court on filling the silence of GC III with provisions of GC IV? Can Art. 45 of GC IV apply by analogy to the transfer of POWs? Do you agree with the Court that the term “transfer” was intended to include “extradition” in the mind of the States concluding the Geneva Conventions? Can the definition provided for a term in GC IV apply to the same term in GC III? Do you agree with the Court that it would be absurd that a civilian facing criminal charges would be subject to extradition when a POW facing identical criminal charges would not, particularly when the charges have no relation whatsoever to the latter’s POW status? Are Art. 45 of GC IV and Art. 12 of GC III parallel provisions? How must the conditions of Art. 12 of GC III (“…the Detaining Power [must satisfy] itself of the willingness and ability of such transferee Power to apply the Convention”) be interpreted? Are they considered to be a formal obligation? What are the consequences for the US of GC III, Art. 12? Does it have the duty to reject extradition if France does not grant Noriega POW status? If it denies him POW status but grants him POW treatment? If it rejects POW treatment for him? Does it make a difference for Noriega whether he is considered as a POW or only treated as a POW? What is the Court’s reasoning in favour of authorizing the extradition? Would it give the same order if France did not grant him the rights guaranteed in GC III? What are Noriega’s advantages in retaining the privileges of POW status in France? (Decision of September 7, 2007) Do you agree with the Court that it lacks jurisdiction to decide the defendant’s claims regarding potential future circumstances involving his treatment in France? Who should have jurisdiction over such a claim? Can Art. 45(4) of GC IV apply by analogy when there is fear of persecution?